If you are a home owner in the Louisville Historic District and are planning on any changes to the property inside or out, the Historic Conservation Commission would like to make you aware of the procedures that you need to follow in order to do so. Any home owner in the historic district that wishes to make changes inside or outside of their home must go to City Hall and fill out a Certificate of Appropriateness, (See Ordinance 322 for details). If you would like to obtain a copy of the ordinance, please call City Hall or call 662-773-5377. 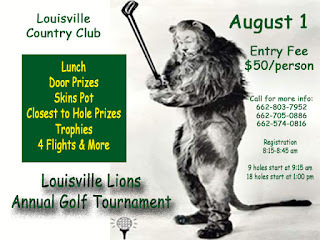 Louisville Lions Golf Tourney Scheduled for Saturday!! Registration includes lunch, door prizes and 27 holes of golf. There will be trophies for the tops in each flight and prizes for closest to the pin. The annual event is a major fundraiser for the local Lions Club that provides an array of services to the community including eye screenings in local schools, eyeglasses and hearing aids for those in need and support of the Mississippi Eye Bank among many other local projects. The Winston County Library would like to thank all of their program sponsors this year: Rives & Reynolds Lumber Company, The Taylor Group, Crowson Auto World, Polo Custom Products, Bennett’s Do-It Center, Fair Propane and Gas, and Louisville Rotary Club. 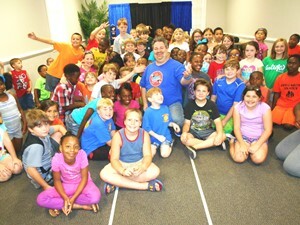 Without their support, these entertaining and educational programs would not be possible. This is from program for 1st – 5th graders (“Every Hero Has A Story”) – Magician Dorian LaChance talked about the different parts of a hero – the foundation (feet), the heart (body) and the intelligence (head) while performing some astounding and hilarious magic tricks. 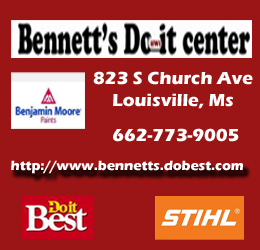 Dorian LaChance’s magic program was made possible by a gift from Bennett’s Do-It Center. On Wednesday morning (July 29) around 8 a.m., the Louisville Police Department received a request from the Leake County Sheriff's Office concerning a BOLO (be on look out) for a green Ford Escape. 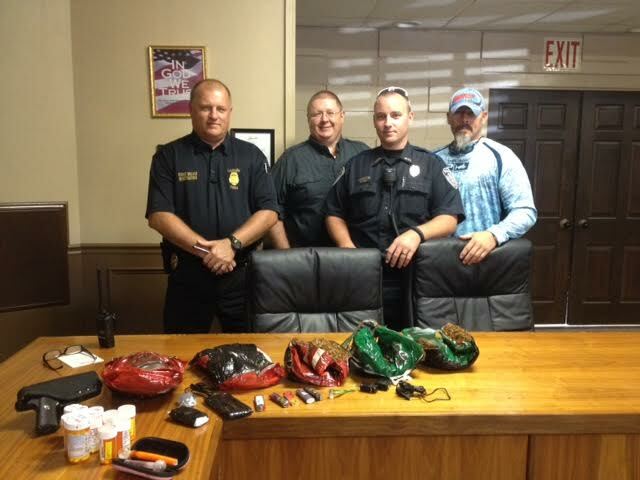 It was believed that the vehicle's occupants were wanted concerning lack of payment for a gas purchase in Leake County. The System Trustees and Staff of the Mid-Mississippi Regional Library System (MMRLS) invite the public to a reception Sunday, August 9, 2015 from 2:00 p.m. to 3:00 p.m. at the Attala County Library honoring 5 inductees into the MMRLS Wall of Fame. Past staff that have made a significant contribution to local public librarianship will be honored at this event. 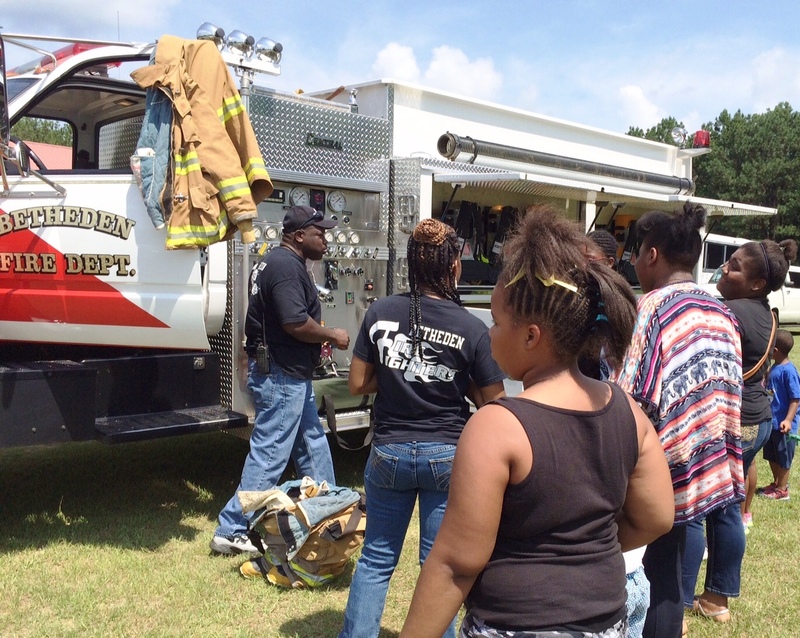 The Winston County Branch NAACP held its annual Back-to-School/Stay-in-School Rally, Saturday, July 25, 2015 at the Louisville High School Auditorium with approximately 200 students there to get free school supplies with each receiving a backpack, also. All of the schools in the district were represented. 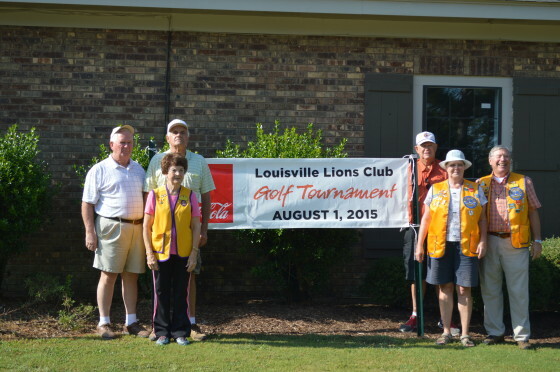 The rally was co-sponsored by the Louisville Municipal School District. Superintendent Ken McMullan was not present but Penny Hill, Director of Curriculum and Personnel, represented the district with enthusiasm for the upcoming school year. new children’s books, acquired through a Libri Foundation grant. The Libri Foundation, based in Eugene, OR, was established in 1989 for the sole purpose of helping rural libraries acquire new, quality hardcover children’s books they could not otherwise afford to buy. The Foundation supports the concept that children who learn to enjoy reading at an early age continue to read throughout their lives. In order to develop a love of reading, children must have access to books that stretch their imaginations, touch their emotions, and expand their horizons. Monday related to the theft of a four wheeler in the Noxapater area earlier this month. Christopher Brandon Shuler was taken into custody related to the theft of a Honda Rancher 2005 model stolen from the 500 block of Kelly Rd. south of Noxapater. The theft was reported on July 4th. Sheriff Jason Pugh noted that communication from neighbors indicated that the suspect may have been involved. The four wheeler was recovered at a residence on Hwy 14 east along with a GPS unit and other items stolen at the time. In addition to the four wheeler, two vehicles at two separate homes were broken into. The theft included at least one GPS unit. Shuler is in custody and being charged with auto burglary and grand larceny. The Department continues to search for another ATV stolen from Hall's Small Engines on Hwy 397. The theft was reported on July 23. This ATV is described as a green 2001 Polaris Sportsman 500. Law enforcement has the VIN number. 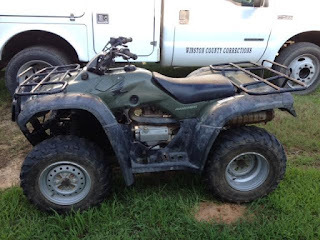 If you have any info related to this ATV or its theft, please contact the WinstonCounty Sheriff's Department at 662-773-5881 or Winston County CrimeStoppers at 662-773-9999. 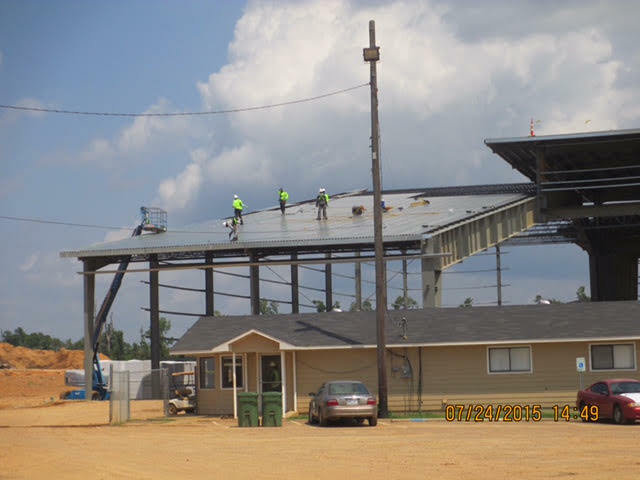 The facility which has been idle since late 2011 and which was also heavily damaged in the April 2014 tornado is located near ongoing construction of the Winston Plywood and Veneer Facility. 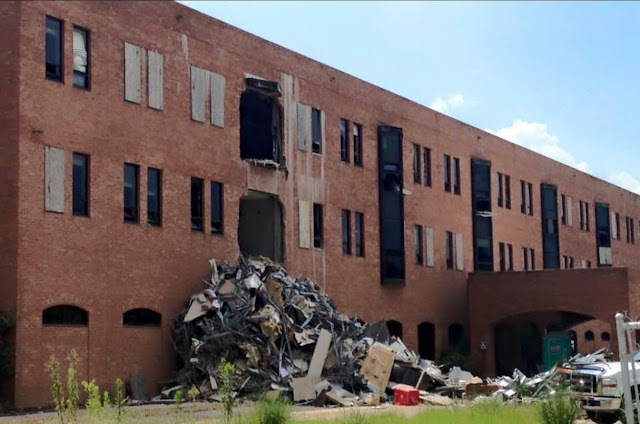 The County's recently purchased the property for roughly $2 million financed by a 20 year low interest loan from TVA and Winston Plywood will lease the property to retire the debt over that 20 year period. 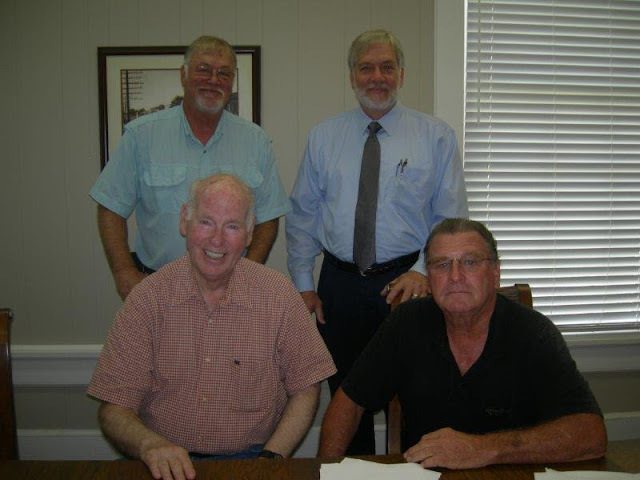 The purchase provides access and needed facilities for Winston Plywood and a possible site for future expansion. The Winston County Self-Help Youth Group sponsored a summer food program at Winston Place Club House July 20-24, 2015 with Jean Harper as the facilitator. There were two parent volunteers: Shondalyn Roberson and Charlene Rush. The cook was Bobbie Nickelson. Harold Hudson was there as a youth supporter. Christy Reed is the property and area manager. The Louisville Animal Shelter is in need of your help. They are at this time overrun with puppies,dogs,cats, and kittens. They are looking for animal lovers who will adopt or foster these fur babies as soon as possible. They are also asking for people who would like to do volunteer work to receive hours for scholarships. For more information, please contact the Louisville Animal Shelter at 662-773-4320. 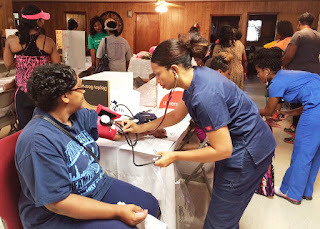 On Saturday, July 11 the Coalition for a Healthy Winston County sponsored a community health fair supported by coalition teams at Antioch, Lonely Valley, Mt. Bell, and Pleasant Grove churches. Approximately 45 adults and 30 youth attended the health fair hosted at Mt. Bell MB Church. The health fair promoted healthy living through a fitness session, health screenings, informational sessions, and also provided a bike rodeo for youth. pressure, and blood glucose screenings. Screenings for blood pressure were provided by Nurse Kenya Hickman and Tawona Hickman, Sta-Home Health Nurse. Blood glucose level screenings were given by Broam Ashford, Phlebotomist. such as hypertension, prostate checks, and kidney health. Officer David Gladney presented Bullying Prevention tips for youth and teens. Shundal Holmes, Oktibbeha County Hospital Wellness Center Aerobic Coordinator and Fitness Specialist, offered a fitness session for adult participants. 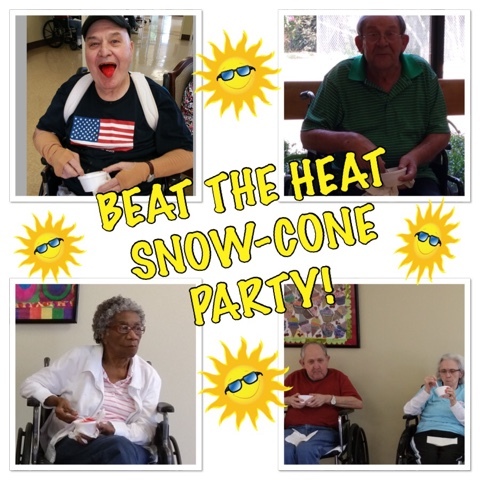 Participants were treated to healthy snacks and refreshments, and they also won door prizes while in attendance. 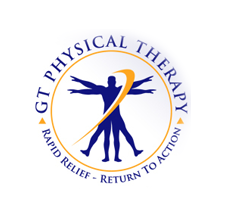 The coalition would like to thank local businesses Anytime Fitness, Sta-Home Health, and WMC-Main Street Clinic for providing donations. County would like to show special appreciation to coalition team members for their participation and contributions. Coalition members include Marilyn Tillery, Brenda Johnson, Mary Jackson, Deborah Edmond, Cynthia Cistrunk, Rena Hickman, Tawona Hickman, Shundal Holmes, and Kristi Jernigan. On Wednesday, July 22, friends and neighbors rejoiced to see Winston County Citizens James Eichelberger and Jennifer Coleman given keys to their new homes. The two Katrina cottages were purchased through the efforts of Winston Strong to replace the homes destroyed in the April 28, 2014 tornado. The Eichelberger and the Coleman families were presented a prayer quilt and Bible, along with the certificate of ownership and keys to their homes. DeShanta Shannon presents home title and keys. Mellie Jordan presents home title and keys. Registration will be July 17 and August 13th, from 10 am - 2 pm. Kyle Gordon of West Point works in the new Electrical Technology lab at East Mississippi Community College’s Golden Triangle campus. Completed in the spring, the $20,000 lab was designed with input from local business and industry leaders. The Electrical Technology program at East Mississippi Community College’s Golden Triangle campus is stronger than ever thanks to a new $20,000 electrical lab and the support of local industries. Electrical instructor Bobby Johnson said the new lab, completed during the spring semester, is the most up-to-date training module EMCC has ever offered electrical students. It was built by EMCC students, but designed with the input of local companies which hire students directly out of the program, some even before they’ve graduated. “We solicit advice from industries about new processes in the workplace. As our students were constructing this lab, we made them meet a lot of those standards industries are looking for today. We’re industry-fed in what we do here,” said Johnson. Even before the completion of the electrical lab, Johnson said the Electrical Technology program boasted a 98 percent employment rate for second semester students. “Companies are starting to seek us out. We’re doing some grant positions through state funding that pay the students’ salaries while they’re enrolled. But lots of companies seek us out without the grant. We had one local company tell us, ‘We go nowhere else to get students. We come to EMCC,’” he said. Bob Edwards, metering services supervisor for 4-County Electric Power Association, said his company is one among many taking notice of the students coming from EMCC’s Electrical Technology program. “As far as residential and commercial wiring, the caliber of students EMCC is sending to 4-County for interviews and our work program is far advanced over what we normally find. Having someone come in the door who already knows how to read a print or how a motor works, these are things you’re just not going to find anywhere else,” said Edwards. Daniel Hamilton is a 2014 graduate of EMCC’s Electrical Technology program and is now an electrician at Steel Dynamics in Lowndes County. He began his time with Steel Dynamics as an intern while still attending classes at EMCC and was hired full-time after graduating. 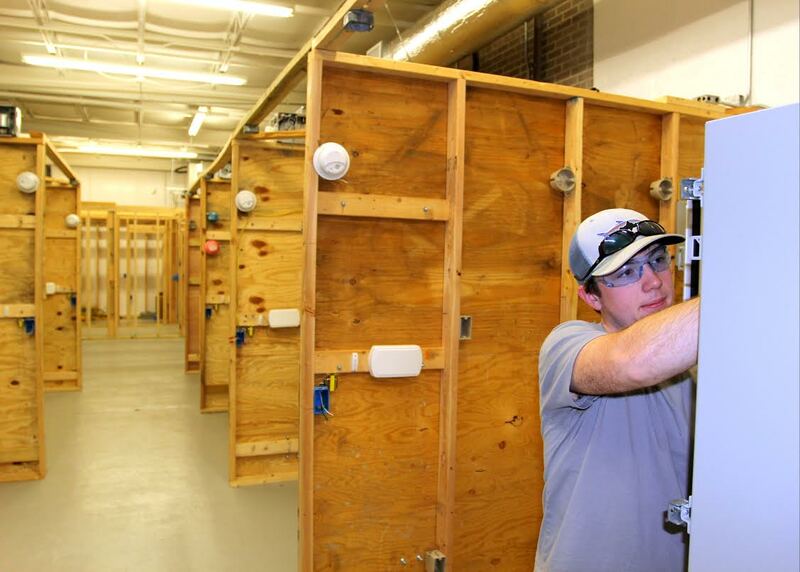 He said EMCC’s new lab will facilitate the single most important kind of learning for electricians: hands-on training. “Learning out of the book is necessary, but 99 percent of our job is hands-on. And the faster you can do your job, the better,” said Hamilton. Johnson said the new electrical lab will also allow students to find out which kind of work best fits their interest and skill set. Half of the lab mimics a residential structure where students encounter every type of wiring and fixture used in a house with the exception of the hot water heater. And the other half of the lab is commercial wiring, including panels, motors, conduits and some heating and air-conditioning. To keep pace with the computerized controls in most commercial settings, the Electrical Technology program even enlisted members of EMCC’s Information Technology department to teach a class on PLCs (Programmable Logic Controls). Johnson said the advances made by the Electrical Technology program in the last few years can be traced back to EMCC’s Manufacturing Technology & Engineering Division, which assumed responsibility for EMCC’s manufacturing-related career-technical programs in 2013. “That’s the only way we’ve been able to do all of this. Our assistant deans, Joe Cook and Susan Baird, took strides to find funding for us. Everything we’ve asked for, they’ve bent over backwards to get it for us. Through grants, they’ve brought in about a half a million dollars worth of new equipment for Electrical Technology, Industrial Maintenance, Mechatronics and other programs. “They allow us to do our jobs and keep these students current with what’s going on in industry. During the last two years, the bar was raised. Then this semester we went over the bar,” said Johnson. To learn more about Electrical Technology program or the more than 25 career-technical programs offered at EMCC, visit eastms.edu. 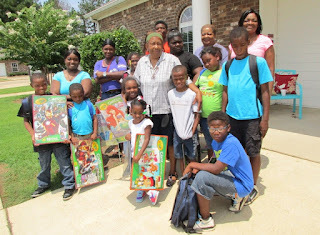 It was an exciting morning, regardless of the heat index, at the GRAND OPENING of the newest residential facility in Louisville, MS. On Saturday, July 18, 2015, nearly 100 people attended the ceremony with the Focus Manor, Inc. board and Mrs. Teresa Fulton and family who made it possible by making the land available for the facility. The ceremony was opened by Mrs. Johnnie Seward, secretary of the board ribbon with a welcome by the chairperson Irene Smith; followed with a prayer by Dr. George A. Miller, executive director. The guests were lead to the front of the facility to witness the cutting of the ribbons which was cut by the Honorable Mayor Will Hill, Dr/ George A. Miller and other board members. With the temperature so high, the guests reentered the facility for the recognition of special guest and dismissal by Dr. Miller. Mrs. Teresa Fulton was shown appreciation and was highly praised for making it possible for Focus Manor, Inc. to acquire the land to build the 1.8 million dollars facility with the HUD grant. According to Dr. Miller, “The facility is in a good location for the physically challenged people who will reside here. It is near a grocery store which is a plus. 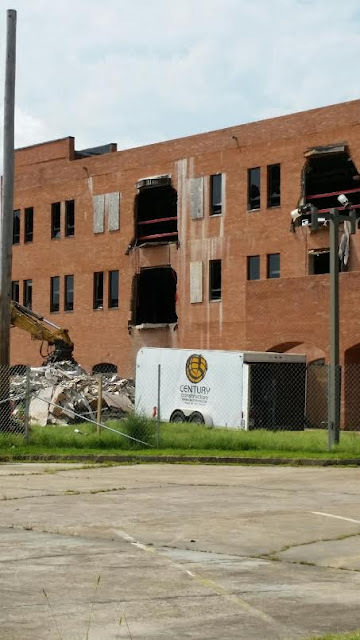 It is truly a vision come to fruition.” It is also near five churches, a small convenience store, downtown Louisville and the new hospital will not be far away. Mayor Will Hill remarked about he has been on this journey with Dr. George Miller from the very beginning and he stated “I knew that if anyone could persevere with the type of government grant it was, that it would be George Miller”. He expressed how pleased he is that Louisville, MS has such a facility. Chairperson of the board thanked Vowell’s Market Place for donating the 4 beautiful ferns and an umbrella plant. She also thanked Faith Tabernacle Church of Christ USA members and Elmetra Patterson for assisting with plants, food, and decorations. Focus Manor board members were thanked for persevering with Dr. Miller. They are listed in the photos. Friends of Dean Park, Inc. was shown appreciation for bringing three workers to help with the flower beds. Volunteers who are master gardeners also helped: Brenda Jowers, Sandra Miles, Johanna Williamson, Elmetra Patterson, Denise Byrd, Richard Moncrief, and Roger Hunt. The ceremony ended with the newly hired managers, Joyce and Melvin Roberson, giving the guests a tour of the building. Most were amazed at the size of the apartments. There is a laundry room available for the residents also. Dr. Miller announced that there are still apartments available. You may contact Focus Manor, Inc. and talk with the managers about the application process. 662.446-9008.